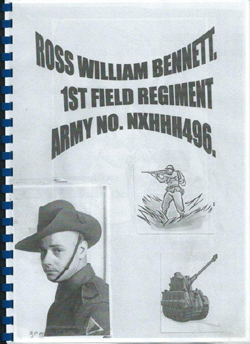 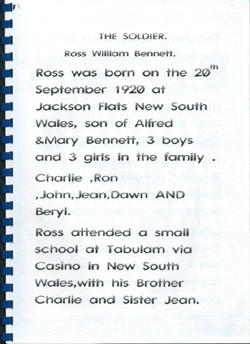 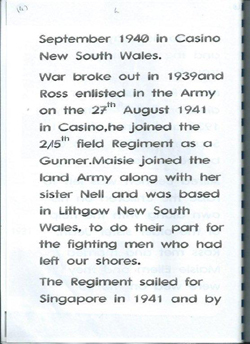 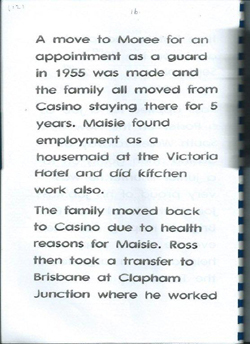 This is the story of my father in law Ross Willam Bennett. 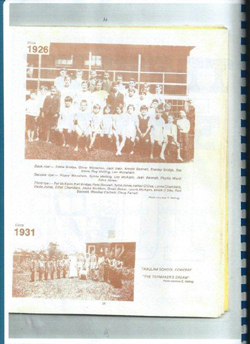 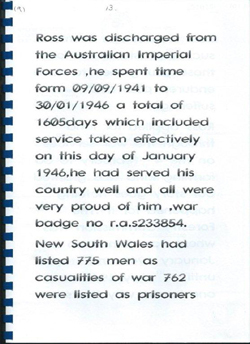 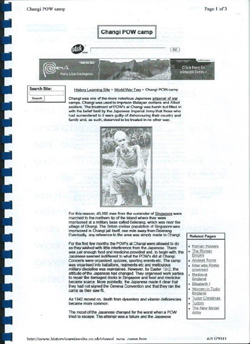 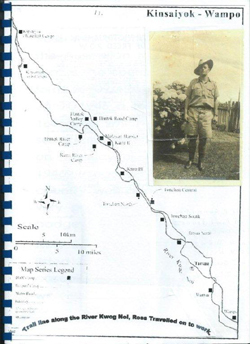 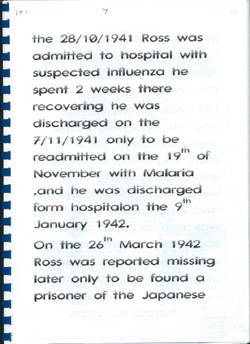 My father in law was a prisoner of Changi WW2 and treated like an animal. 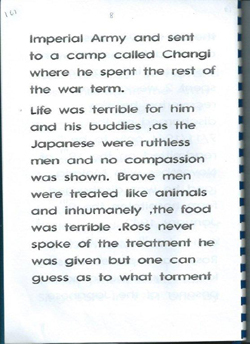 He went through, like other men, a terrible ordeal at the hands of the Japanese. 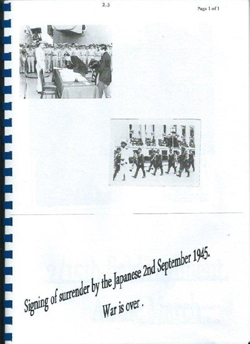 He stole a slice of bread from a guard and was caught and tortured for it, a time he never forgave the Japanese for. 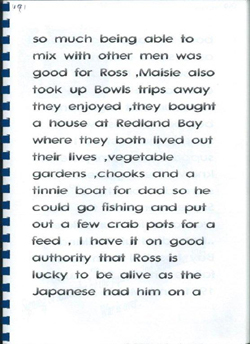 No Japanese products were bought or ever brought into the household. 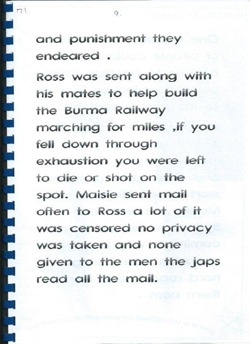 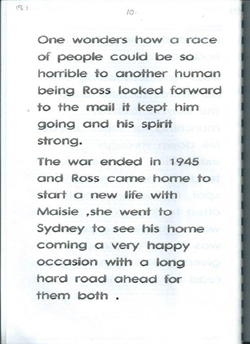 Ross came home a broken man, although he picked up his life and went on. 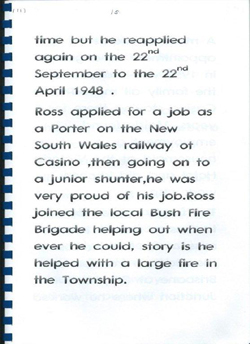 We are so proud of him. 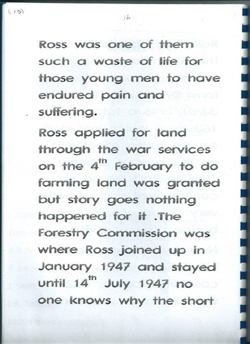 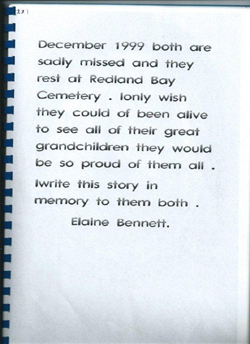 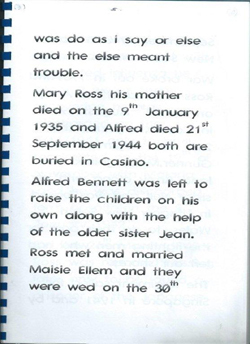 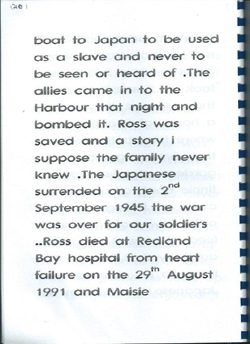 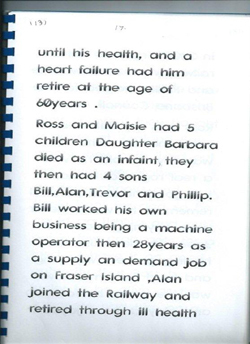 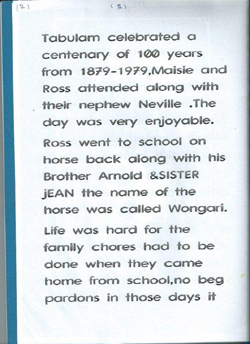 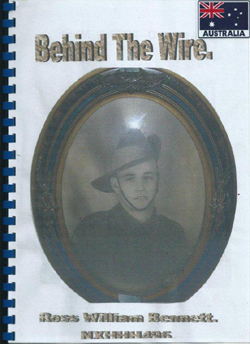 I have done his biography in the hope the great grandchildren he has today will read his story and be proud of him too. 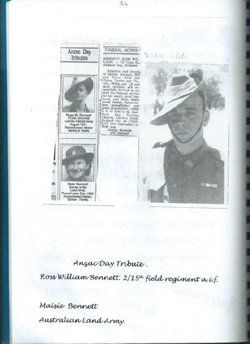 I will never vote to change our flag after doing the stories on both my families as they gave their lives to make our country free and the flag meant a lot to all our Anzacs. 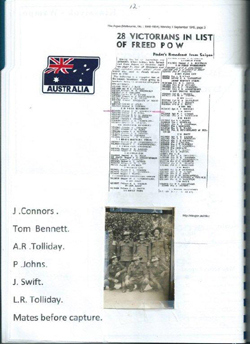 One day it is my dream to visit the sites they fought on and to see Anzac Day there. 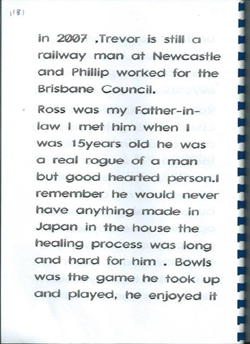 Thank you for taking my story, I am a very proud daughter in law.